Celebrity medium wavy curly hair style for women. Long layers are cut around the sides and back to enhance the bounce and volume of the curls and waves making this hairdo perfect for those looking for a casual style to balance out a long face. 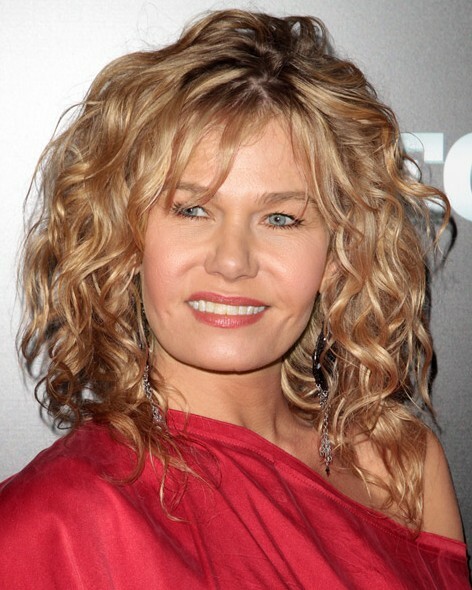 This is a perfect shoulder length curly hairstyle for mature women, good for Oval, Oblong, Square face shapes.